The same set of data can tell many stories, but it's up to you to ask the right questions and find the story that will advance your product's roadmap. 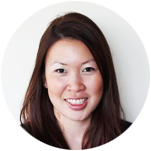 Wendi Chiong is a Senior Design Researcher at Motivate Design. She has worked with clients across a range of industries, including retail, health care, government, financial services, and political campaigns.